John Belushi, Tom Hulce, and Douglas Kenny wear black high top and low cut Converse “Chuck Taylor” All Stars in the film. The members of Faber College's Delta fraternity house like to party and have a good time. National Lampoons’s Animal House takes you to Faber College in 1962, where you see the goings on in two fraternities: Omega house and Delta house. The Omegas lead the Greek scene on campus, and consist of students like Greg Marmalard (James Daughton), president of the student council, and Doug Neidermeyer (Mark Metcalf), commander of the student ROTC. They are very pompous, exclusive, and socialize with dressed-to-the-teeth sorority girls with names like Babs (Martha Smith) and Mandy (Mary Louise Weller). Next door to the Omega house is the Delta house, Faber College’s most disreputable fraternity, where just about anything goes. Delta is led by Eric “Otter” Stratton (Tim Matheson), a real ladies’ man, who is always hustling dates with new girls, and Donald “Boon” Schoenstein, the house comedian. Boon actually has a serious girl friend, Katy (Karen Allen), but she’s tired of putting up with the constant drinking and partying that goes on in the Delta house, and keeps urging Boon to get a life. The spiritual leader of the Deltas is John “Bluto” Blutarsky (John Belushi), their hard-drinking, hard-partying pledgemaster, who represents everything that the Faber College establishment hates and provides the audience with some of the greatest comedy bits in the film. Besides the enmity of the Omegas, Delta house has another problem. The Dean of Faber College, Vernon Wormer (John Vernon) considers Delta house a serious blight on campus, and he is constantly trying to figure out a way to expel them from the campus. Katy wants Boon to get serious about their relationship, while Larry just wants to find a girl. The plot to Animal House starts during pledge week. 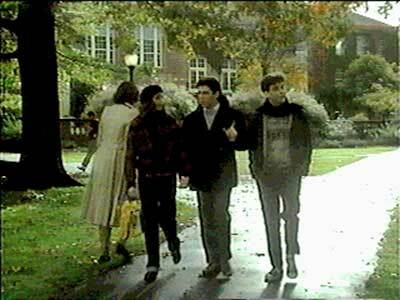 We see two freshmen, Larry “Pinto” Kroger (Tom Hulce) and Kent “Flounder” Dorfman (Stephen Furst) making the rounds to see if they will be accepted by one of the fraternities. Since neither of the freshmen have the money or social status necessary to become an Omega (Babs in an aside describes the two of them as a “wimp” and a “blimp”), they end up as pledges for Delta, who will take almost anyone, if they are willing to party and create havoc on campus, Delta style. But trouble looms ahead. Dean Wormer has placed the house on “double secret probation”, and all it will take is one more Delta screw up for the Dean to be able to expel them all from campus. He enlists the assistance of the Omegas in his plan, and they start a campaign to harass the Deltas. How do the Deltas respond? They decide to have a toga party. Most of the plot revolves around the conflict between the two sides, with the Deltas coming up with hilarious responses to everything thrown their way by the school and the Omegas. When the Dean is finally successful in his plan to expel the Deltas, due to their extremely low house grade point average, the Deltas come up with one last major prank to go out in style. 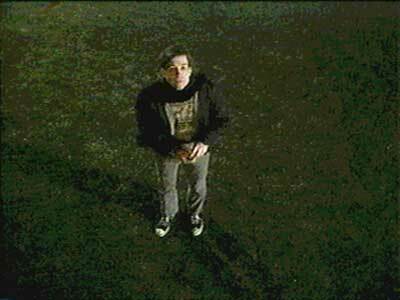 Pinto calls to his newly found girlfriend, Sarah. Animal House is a classic college campus satire which started a whole genre of similar films. It has some classic comedy bits that still remain funny today. It is probably the best filmed example of the comedy genius of John Belushi. His scene in the cafeteria, the way he carries on during the toga party, and his speech to the Deltas after their expulsion remind you how original and unique Belushi was as a comedian and actor. Director John Landis deserves credit for keeping the story pretty much on focus (given the rather thin plot) and for dealing with a very large cast of characters. Another interesting aspect of viewing this film in the 90s is to see actors like Karen Allen, Tom Hulce, and Kevin Bacon very early in their careers. This film is still a must see for anyone who likes this type of ribald satire. Otter and Bluto inspire the depressed Deltas into one last glorious prank. Stork leads the marching band into a brick wall. 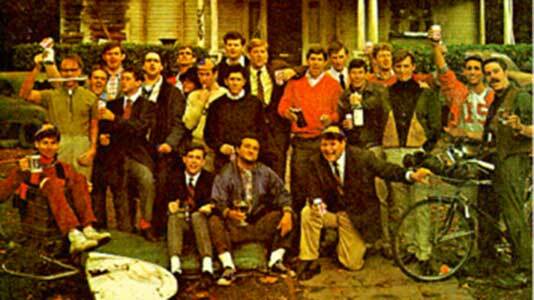 A number of the Deltas are seen wearing low cut black chucks in Animal House. The best chucks scene has to be during the Faber College homecoming parade in the local town. 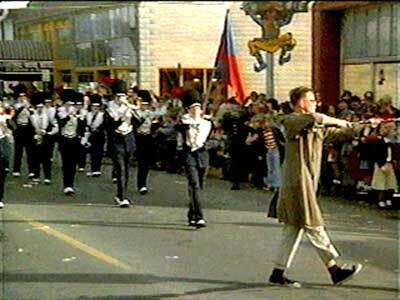 There are some classic bits, like when Stork (Douglas Kenney) knocks out the drum major of the marching band and leads them off the parade route and down a dead-end alley. There is a hilarious crunching sound as the slide trombones march straight into a brick wall. And later you see Bluto, dressed in a pirate outfit plus chucks take on the local ROTC and police as he leaps off buildings and helps create general pandemonium. 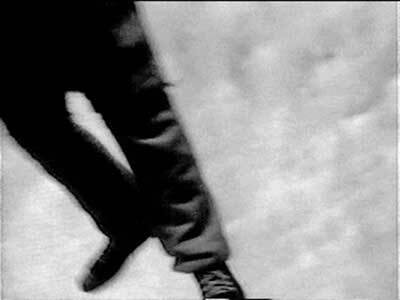 Bluto leaps off the rooftop of a local store into the parade. Animal House. (1978) John Belushi, Tom Hulce, Stephen Furst, Tim Matheson, Verna Bloom, Donald Sutherland, John Vernon, Douglas Kenney. Directed by Jon Landis. Categories: Comedy.